Cannabis is now the main drug driving referral to adolescent addiction services say concerned psychiatrists amid coverage of cannabis use in the last week. Cannabis is now the leading cause of new presentations to Ireland’s adolescent addiction services. The trends in cannabis use and cannabis related harms which are evident in the past decade are very concerning and need action at policy and service level. There has been a 3-fold rise in the number of young adults attending addiction services for cannabis dependency. Cannabis use in adolescents also leads to increased mental health problems among our young population and risk of severe and enduring mental illness (in the form of psychosis) as well as deficits in cognitive functioning important for learning. Among young adults aged 18 to 34 years, the number presenting to addiction services with a primary problem of cannabis dependence increased three-fold between 2004 and 2015 (612 to 1871 episodes). The recently publicised Department of Health report on cannabis ‘Prevalence of Drug Use and Gambling in Ireland and Drug Use in Northern Ireland’ based on their analysis of the 2014/15 general population survey supports these observed trends. Based on the Irish population size in 2014, indications are that there were in excess of 45,000 young people dependent on cannabis. Of particular concern in the recent report is that the proportion of people perceiving regular cannabis use as posing little or no risk has increased substantially across all demographics. “Use of cannabis comes with a serious health warning. I mean the huge risk of severe, enduring, debilitating harm and that’s no matter what it’s used for. 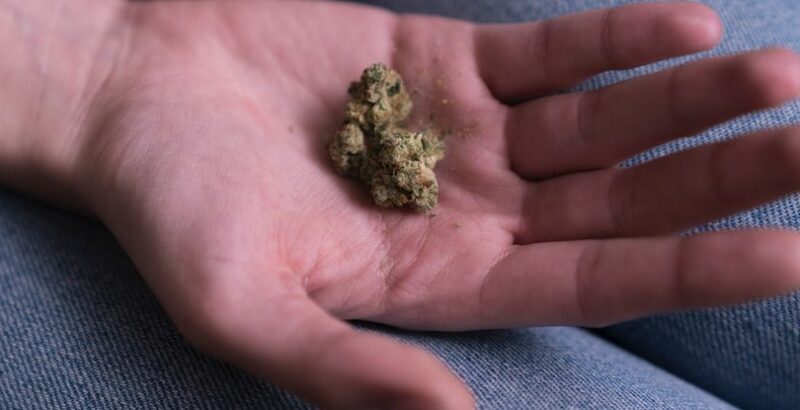 One wonders why a higher proportion of people than before are unaware of the gravity of potential harms from cannabis and what forms these impressions?” asks Dr John Reynolds, Chair of the College Faculty of Addiction Psychiatry. Continuing he said, ‘Cannabis has become the main drug driving referral to our adolescent addiction services. As well as the concerning dependency levels there is now emphatic evidence that cannabis use in adolescents is associated with increased risk of development of psychotic illness when older’. A focused campaign in the HSE and Department of Health on cannabis is needed in order to address the general lack of public knowledge regarding cannabis related harms and the trend of increasing cannabis related addiction and mental health problems. 8% of young people aged 15 to 34 years reported current use of cannabis (use at least once in the previous month). This is almost double the rate from previous surveys (4.3 to 4.5%). Among the 14% of young people aged 15 to 34 years who had used cannabis in the past year, 22.3% of these reported symptoms consistent with a diagnosis of cannabis dependence. That is 3.6%, or more than one in every 30 young people in Ireland. A contributor to the increasing cannabis problems and related harms in Ireland appears to be the emergence of ‘herbal cannabis’ (commonly called “weed”) in the past 15 years. While over 80% of cannabis users reported use of its resin form (commonly called “hash”) in 2002, this has reversed completely with over 80% now using the more potent “weed” type cannabis in this latest survey. This appears much more addictive and harmful than hash. There is an increasing body of research pointing to the negative impact which cannabis use, especially regular use during the adolescent years, has on cognitive functioning. These are most evident in areas linked to memory. Cannabinoid receptors appear to have an important role in the process of neural reconfiguration and development which occurs during the adolescent years. Blitzing those receptors with potent external cannabinoids, such as THC, has a negative impact on this important but delicate process.